Running Pixel develops multi-platform casual games. We strive to put great gaming experiences in every PC, console, mobile phone, and portable device. At Running Pixel, we believe in the power of ideas. Every great game starts with an idea. We develop great ideas into the best pastime money can buy, casual games. From PC-Casual to Mobile phone and vice versa. We came from the mobile development, we have a perfect knowledge of how a game works on all the platforms. Now thanks to our exclusive technology we develop easily games for all the platforms. Fast, reliable, hi-quality and above all a lot of fun! Running pixel provides complete cross-platform development thanks to our exclusive Sasquatch technology. Sasquatch is a development framework and set of tools which enables us to rapidly develop multi-platform games. We can also port any existing mobile game to Windows and XBOX 360 platforms. With Sasquatch, your product leaves a bigger footprint on the gaming world. An example of Sasquatch's power is Crystal Crush a new and innovative casual game created by Runnng Pixel that will be released very soon. 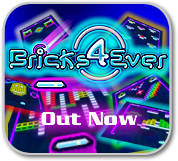 In the rebranded Xbox Live Indie Games section, Bricks4Ever now costs only 80MS Points (about 1$). Now there is no excuse to try and enjoy with it here. Our never ending breaker is live now on Xbox Marketplace.Are you ready for the challenge? 50 levels are waiting for you. Find out Classic, Zen, 4ever and Co-op modes. A free demo is now available for your Xbox here. 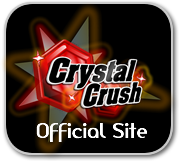 Xbox Live version of Crystal Crush is now available in Marketplace. The New Xbox Experience opens the doors for original and crispy games. Crystal Crush stands out for its addictivity and freshness. All Xbox Live users can Try and Buy the game in Community Games list and a Pc downlodable version will be briefly distributed on the web.